JAIDENS PETALS ... CINDILOOWHO ...: Lovely Mark... loves his fleurs. He'll use it to help inspire his second glorious book!!!! 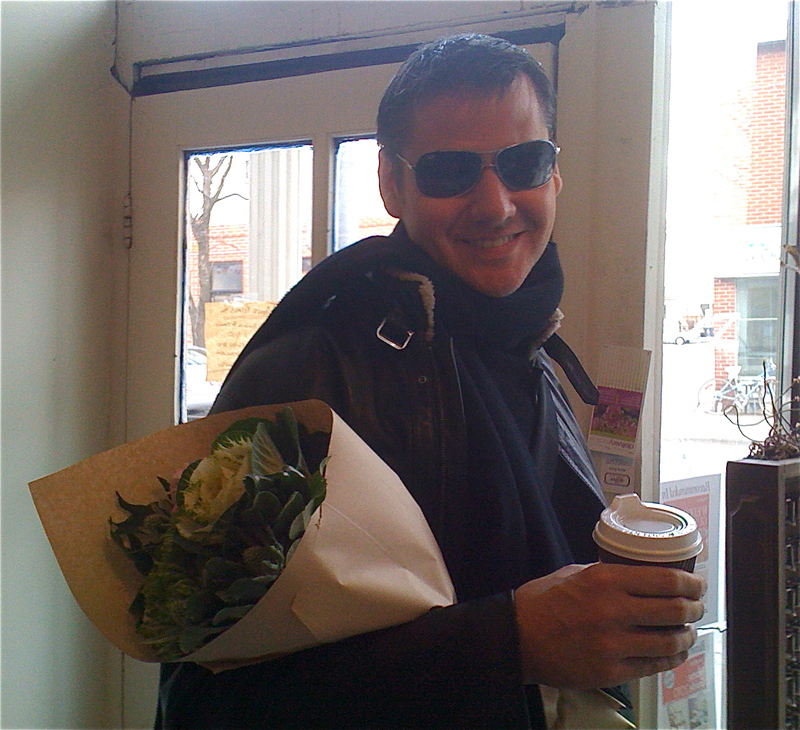 Lovely Mark... loves his fleurs. He'll use it to help inspire his second glorious book!!!! are those flowers for Tineke? a kind note from Janice. Little bundles of Autumn at 20 bucks a bunch!!!! ahhhhh tulips and green thistle... why not.